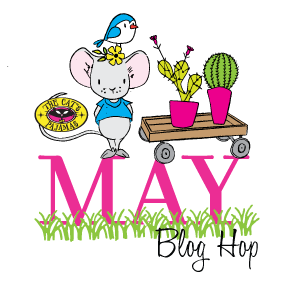 Welcome to our May Blog Hop at The Cat’s Pajamas! We’re excited to give you one more peek at our May New Releases of 4 stamp sets, and 4 new dies. All the new goodies are now available to purchase, so stop on by the store! You should have come from the lovely Lynn’s blog to my place. I thought I’d take another look at the adorable images in the set, Live More. They are just so sweet! 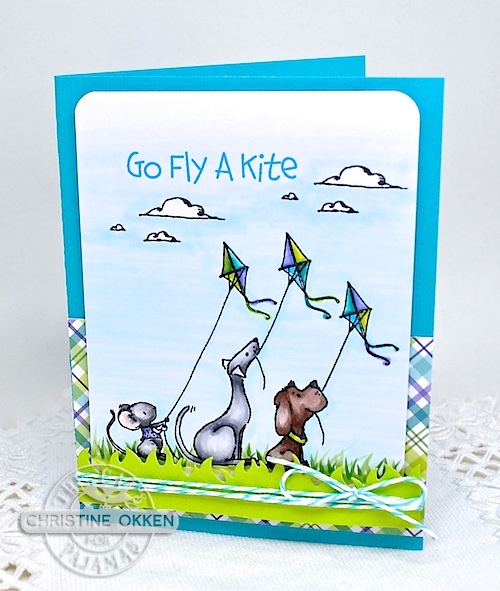 I can remember many days from my childhood where our cousins would take us kite flying. It was a lot of work, but when you could get that kite to soar it was just a dream. This little trio has it goin’ on! They’ve got all of their kites up and blowing in the breeze! I just love those fun breezy clouds blowing by too. 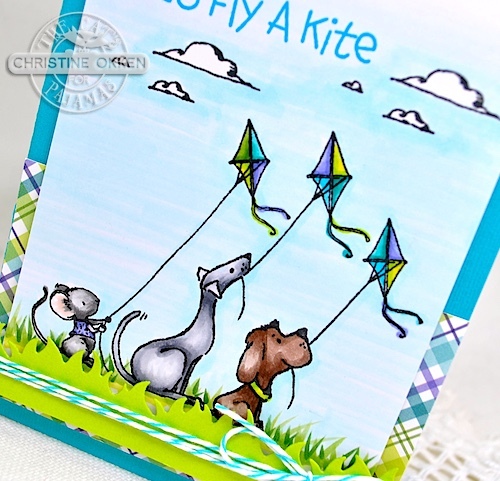 For this design I added some pretty plaid paper to showcase the colours in the kites, and I think too, it repeats the pattern of the kites in the paper. A bit of lime green grass using TCP’s Grass CutUps Die and a bit of twine finish the design. They’re a cute trio aren’t they? Now please head on over to Wendy’s place for some more wonderful TCP May Inspiration! If you get lost along the way please head back to the TCP Blog. Thanks for celebrating these fun releases with us! Love this, Christine! Such beautiful coloring. It surely is fun, Christine! Good to see you enjoying the lighter side with these cute stamps and dies. A very happy card! So pretty and fresh looking. You were made to color up these sweet storybook images. Really fun card! Great use of colours.